Big Apple Red (Step 2) is rated 4.7 out of 5 by 3. Rated 4 out of 5 by Wick from Great colour for Christmas As I don’t have a local OPI stockist I bought Big Apple Red nail varnish online. Great colour. OPI is expensive but well worth it as it stays on ages before chipping. I always use their base/top coat. I was disappointed at the large packaging for such a small product but it did arrive within 3 days of placing order the week before Christmas so that was good. 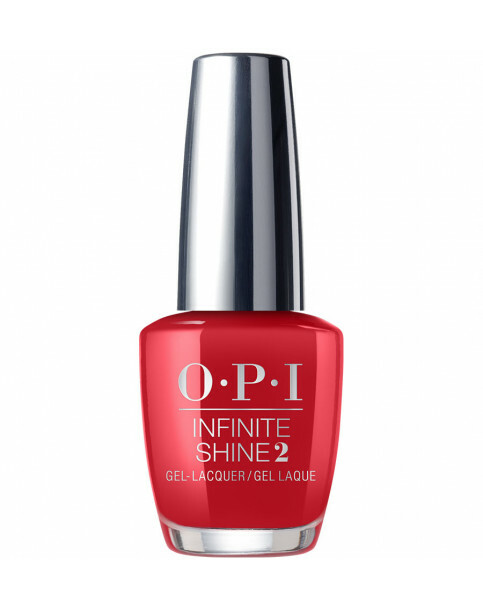 Rated 5 out of 5 by Witneymum from Love Infinite Shine- and Big Apple Red is fab! I find that Infinite Shine does make my nail polish last longer, so I use it when I can. Bought this red for an event I was attending where I needed a real tomato red. This colour is soft, but I think it’s lovely! Rated 5 out of 5 by Simona from Go red This Big Apple red is gorgeous, absolutely love it!